Sony Xperia XZ2 VS Sony Xperia XZ2 Premium: Specs Comparison. Sony doesn’t look like they will be slowing down anytime soon. 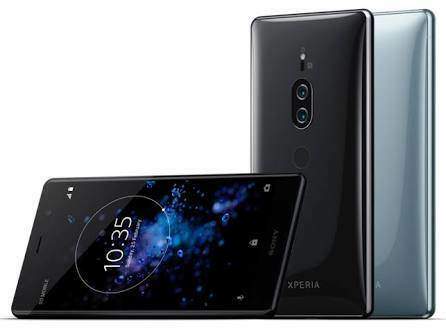 The manufacturing company announced the Sony Xperia XZ2 and Sony Xperia XZ2 Compact back in February 2018. 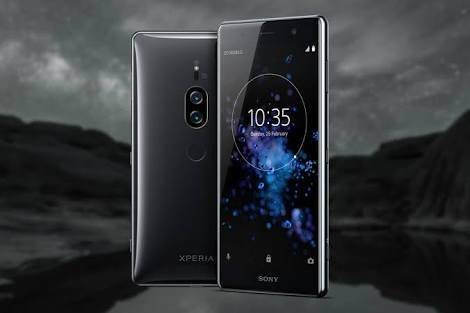 With the phones sales just beginning this week, the company have announced the Sony Xperia XZ2 Premium. And with the way Sony names their phone, the Sony Xperia XZ2 Premium is the advanced version of the Sony Xperia XZ2. The Sony Xperia XZ2 Premium is said to be Sony’s best smartphone till date. And the smartphone capable of challenging the likes of iPhone X and Samsung Galaxy S9. But just how advanced is the Sony Xperia XZ2 Premium to the Sony Xperia XZ2. What specifications and features have Sony upgraded? This article will be comparing the specifications of the Sony Xperia XZ2 with the Sony Xperia XZ2 Premium. You can also see the specs comparison between Sony Xperia XZ2 Compact and Sony Xperia XZ2. They both have similar design which like a loop. The Sony Xperia XZ2 Premium is larger in all dimensions, measuring 158 x 80 x 11.9 mm. While the Sony Xperia XZ2 measures 153 x 72 x 11.1 mm. Also the Sony Xperia XZ2 Premium is heavier weighing 236 grams. While the Sony Xperia XZ2 weighs 198 grams. There’s a glass at the front and back of both smartphones with an aluminum frame. The glass is the Corning gorilla glass 5 which is amazing. Both phones are dust/waterproof with an IP65/IP68 certified rating. The Sony Xperia XZ2 Premium houses a dual rear camera. Thereby making it Sony first dual rear camera smartphone. They both have a rear fingerprint sensor. While the Sony Xperia XZ2 is available in Liquid Black, Liquid Silver, Deep Green and Ash Pink body colors. The Sony Xperia XZ2 Premium will come in Chrome Black and Chrome Silver body colors. The Sony Xperia XZ2 houses a 5.7 inch IPS LCD capacitive touchscreen. While the Sony Xperia XZ2 Premium features a 5.8 inch IPS LCD capacitive touchscreen. The Corning Gorilla Glass 5 protects the screen of both devices. The Sony Xperia XZ2 comes with a display resolution of 1080 x 2160 pixels with 424 PPI density. While Sony Xperia XZ2 Premium features a resolution of 3840 x 2160 pixels with 760 PPI density. Yeah, the display of the Sony Xperia XZ2 Premium is that sharp. It has to be one of the smartphones with the best display quality. Sony really did an impressive upgrade in the camera aspect. The Sony Xperia XZ2 sports a rear camera with a resolution 19MP f/2.0 aperture. With a front camera having a resolution of a 5MP f/2.2 aperture. The Sony Xperia XZ2 Premium features a dual rear camera. Which has a resolution of 19MP f/1.8 aperture and 12MP f/1.6 aperture. A resolution of a 13MP f/2.0 aperture is featured in the front camera of the Xperia XZ2 Premium. Inside the Sony Xperia XZ2 and Sony Xperia XZ2 Premium is the Qualcomm Snapdragon 845 chipset. And also 8-cores (Octa-core) processor which clocks at 2.7GHz. Both Xperia XZ2 and Xperia XZ2 Premium runs on Android 8.0 Oreo. The internal storage on both phones is at 64GB. The Sony Xperia XZ2 Premium boost a 6GB RAM. While the Sony Xperia XZ2 comes in two RAM variants; 4 or 6GB RAM. The Sony Xperia XZ2 is powered by a non-removable Li-lon 3180 mAh battery. While the Sony Xperia XZ2 Premium takes it up, by packing a non-removable Li-lon 3540 mAh battery. Although with Sony Xperia XZ2 Premium huge display quality, the battery might NOT live up to expectations. They both offer fast battery and Qi wireless charging. The Sony Xperia XZ2 is available for around $982 (N343,700). The Sony Xperia XZ2 Premium price isn’t available yet but speculation has it at around $1,121 (N392,350). The Sony Xperia XZ2 Premium is a worthy upgrade but still, the Sony Xperia XZ2 isn’t a bad phone.